Betty Lou Kyle 93 of Clinton, IL passed away 5:45 PM July 24, 2018 at Abraham Lincoln Memorial Hospital, Lincoln, IL. Private graveside services will be at the Woodlawn Cemetery, Clinton, IL with J. Kent Hickerson officiating. Calvert Funeral Home, Clinton, IL is in charge of arrangements. Memorials may be directed to First Christian Church, Clinton, IL. 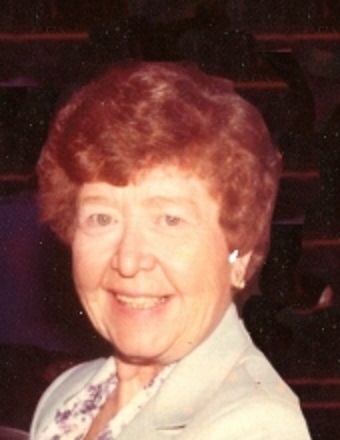 Betty was born February 13, 1925 in Kenney, IL the daughter of Ted and Eleanor (Foster) Roseman. She married Charles D. Kyle, Sr. December 16, 1941 in St. Louis, MO. He passed away September 12, 1997. Survivors include her son, Charles David Kyle, Jr., Clinton, Il. ; grandchildren, Darin Scott Kyle, Houston, TX; Tricia Lynn Kyle, Clinton, IL; great-grandchildren, Darin Scott Kyle, Jr.; Taylore Leyva, Victoria Hendrickson; great-great-grandchildren, Madison Kyle, Autumn Acevedo, Anthony Acevedo, Chloe Kyle and Sophia Leyva; siblings, Mary Burton, Clinton, IL; Jerry (Betty) Roseman, Decatur, IL; Teddy (Nancy) Roseman, Clinton, IL. She was preceded in death by her parents, sisters, Shirley, Sally, Norma and brother, Kenneth. Betty was a beautician and had worked at Armstrong Shoe Store for many years.